The perfect addition to your favourite desserts! 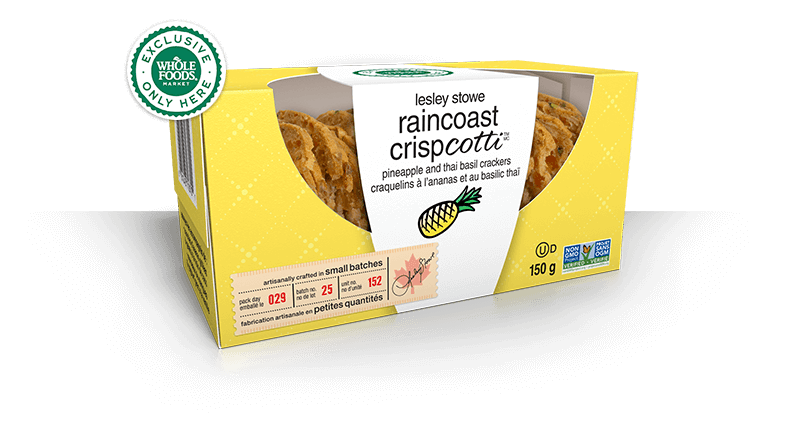 To elevate your entertaining further, we’ve created lesley stowe raincoast crispcotti™: a sweet crisp that pairs deliciously with sliced fruit, gelato, and more. Inspired by the exotic flavours of the Pacific Rim region, this combination of pineapple, mango and Thai basil is brought together into each crispy bite. Hand-crafted and made in small batches. 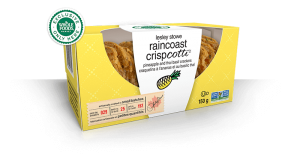 Ingredients: unbleached wheat flour, apple sauce, brown sugar, sugar, dried pineapple, almonds, coconut, sunflower oil, dried mango, thai basil, baking powder, ground flax seeds, sea salt, natural flavour, calcium chloride, citric acid. contains: almonds and wheat. 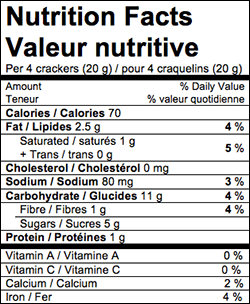 may contain other tree nuts, milk and sesame seeds.